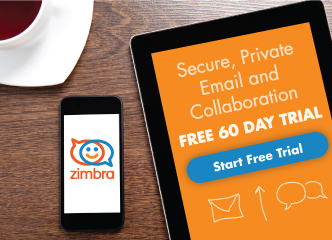 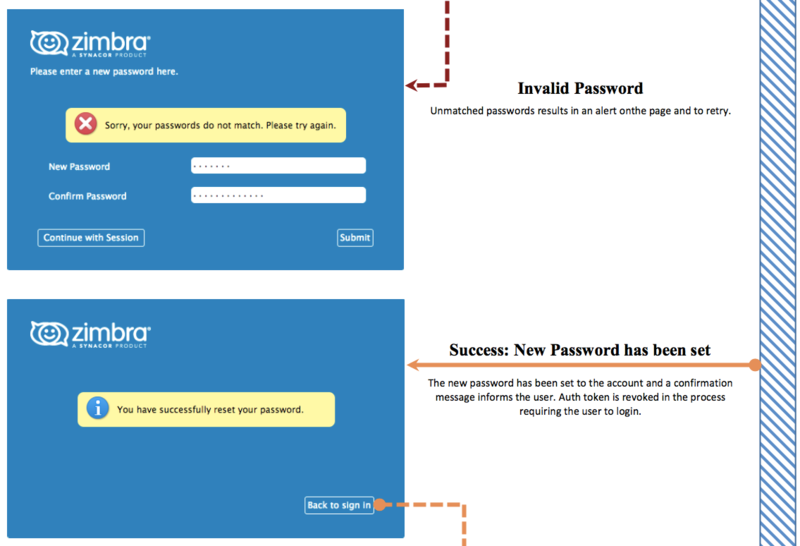 Zimbra Collaboration 8.8.8 (released earlier this year) included a new feature: Forgot Password. 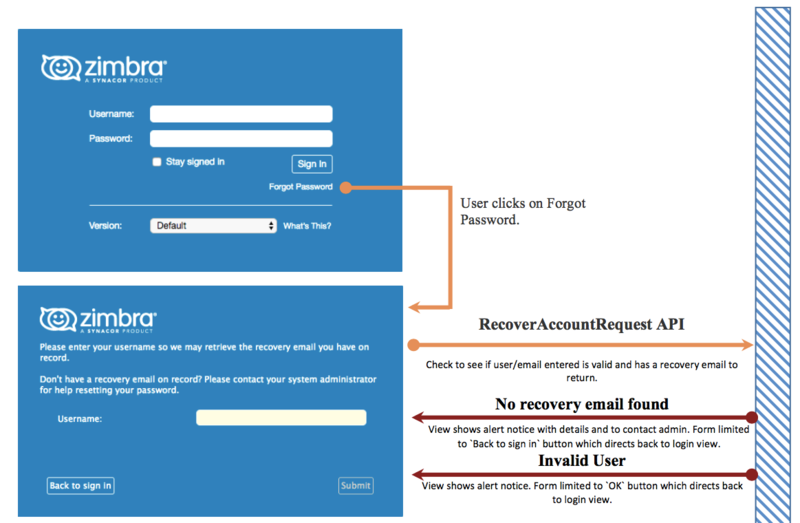 This feature now enables a user to reset his or her password. 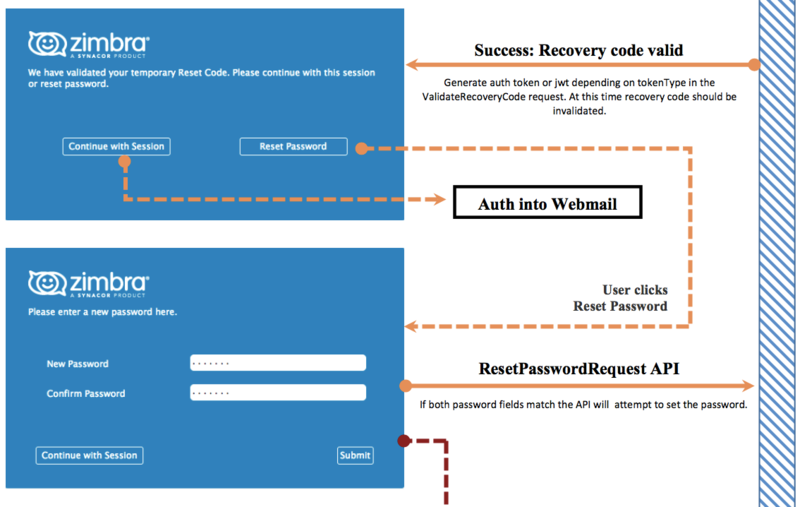 Below is the flow of the Password Reset feature with the associated APIs. 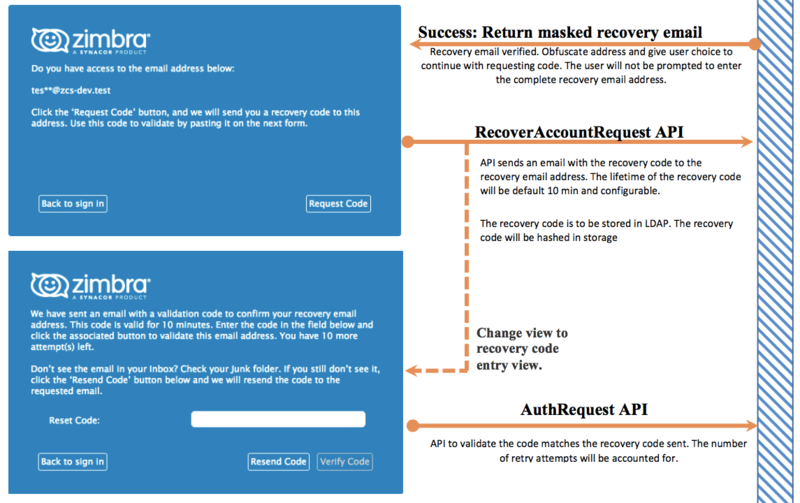 Password recovery by API is a very important element.